First of all we went to the Church building. I was shown the Naomi project (teaching sewing skills to mothers) and the Obed project (school for younger children). Then it was on to the school - the Ruth project. I was shown around by Mishi Ciobasiu. Term hasn't started yet, but it was interesting to see freshly painted classrooms (they had a working party come over from the UK to do the painting). Mishi then took me for a drive around Roma communities. I was struck by the chaos. Children and dogs were running around in a rubbish strewn street. 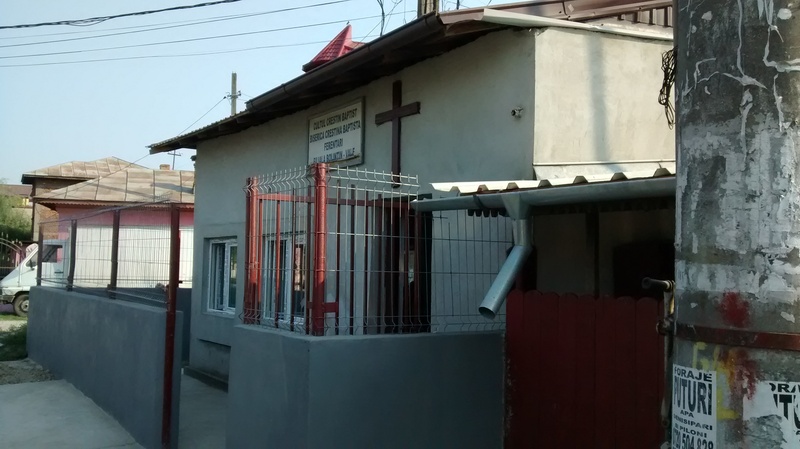 The aim of the Ruth project (and the other sub projects) is to educate Roma children and families so that they might see the value of working for a living, primarily through Christian teaching. Then we went to have lunch with Oti (associate pastor) and Daniel (Dean of Seminary). Had lamb sausages. 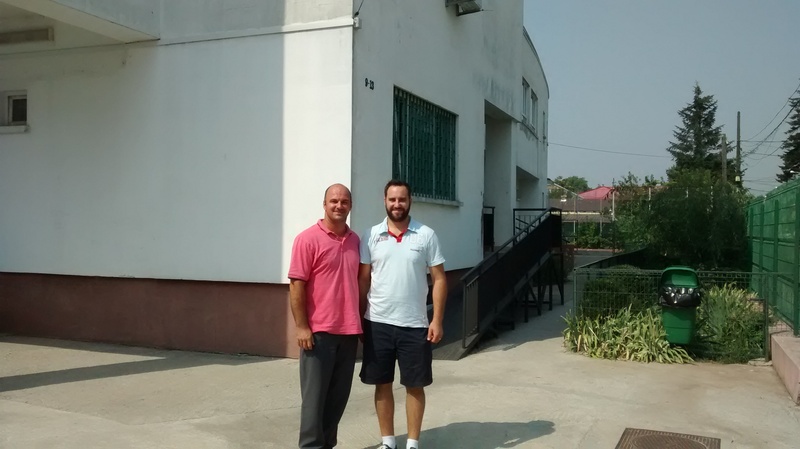 Onto the seminary, I shown around by Sorin who teaches there approximately 12 hours per week. The rooms for students tend to have 3 or four beds in one room. Then onto a Church plant in Bolintin, which is a Roma village about one hour drive away. About 10 adults and 8 children were present. They sang some songs unaccompanied and used a laptop for music on other songs. I preached on the paralysed man lowered through the roof. It was strange having to think about how to express every sentence clearly so that it could be translated effectively. No room for waffling! It was very encouraging, though, that there was a sense of connection and encouragement despite the language barrier.